If you haven’t visited our main website for a while, you might be surprised at the changes you see. to make it easier for you to find the perfect bible storytime lesson for your class. Take a quick peek at our new look, and let us know what you think! You’ll notice that we’ll be adding direct links to each of the lessons from the left hand side of our blog as well! What do you think of when you think of trains? 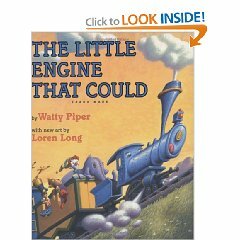 How about The Little Engine that Could? Remember the little train that couldn’t quite make it up the hill until he started to believe in himself? Not just from within ourselves, but from God within us! And of course, we’ve added in lots of Printable Fun to go along with the lesson…..we just can’t get enough of the trains around here! There are train coloring pages, full page photographs, wordwall cards, and even a fun Train Phonics File Folder Game as well! We’ve scheduled this lesson right along side our June theme of transportation, but of course you can take advantage of it and use it whenever, and wherever you feel like learning about trains! We’d love to see this lesson in action, so if you use this with your children or classroom, please tell us how it goes….or drop us a link to your blog so we can come by and check out the fun! For the month of December we have a musical theme, and a Happy Birthday Jesus Theme! Stay tuned for updates and more printable resources for these topics!